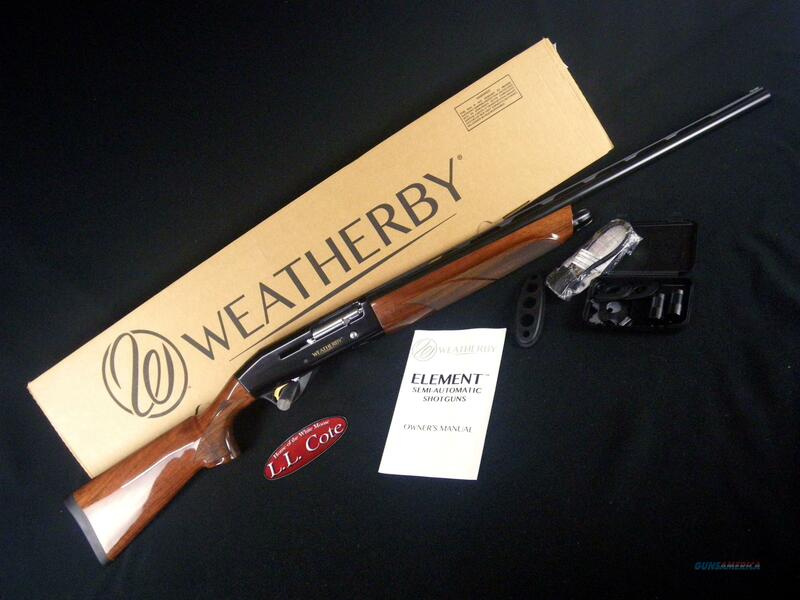 Description: You are bidding on a Weatherby Element Upland in 12ga with a 28" barrel and 3” chamber. The Weatherby Element Upland is a versatile semi-automatic shotgun that is equally suited to both upland bird and waterfowl hunting. This inertia operated shotgun runs cleaner and smoother for the utmost in reliability, even during round after round of high volume shooting. Add in Weatherby's signature attention to fit, finish and style and you've got a cherished hunting companion for years to come. Displayed images are stock photos. Any questions please feel free to ask (our phone number is in the additional information tab above).